WASHINGTON — House Republicans and Democrats bickered heatedly Monday over whether the GOP tax bill truly helps the middle class, as the Ways and Means Committee kicked off a marathon session to amend and vote on the far-reaching legislation President Donald Trump hopes to sign into law by year’s end. At stake is whether the GOP will succeed in passing the most sweeping rewrite of the tax code in decades, which would be a major achievement for congressional Republicans and Trump after a year largely devoid of legislative wins. And looking ahead to 2018 midterms where Democrats will aim to wrest back control of the House from the GOP, each side is trying to win the political debate over who is truly looking out for middle-class Americans. The legislation adds $1.5 trillion to the ballooning national debt, delivers a major tax cut to corporations, and repeals the estate tax, which would benefit a tiny percentage of the wealthiest families in the country. It also simplifies the loophole-ridden tax code by collapsing today’s seven personal income tax brackets into four, nearly doubles the standard deduction used by people who don’t itemize, and increases the child tax credit, an element championed by first daughter Ivanka Trump. Although several analyses have found that the bulk of the legislation’s benefits goes to corporations and the wealthy, Republicans argued vociferously that the legislation is targeted toward the middle class. 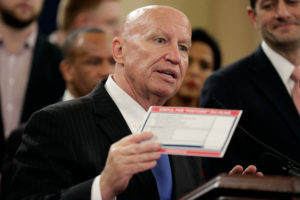 “It’s about making America’s economy stronger than ever by delivering more jobs, fairer taxes and bigger paychecks across the nation,” said Ways and Means Committee Chairman Kevin Brady, R-Texas. Brady is aiming to push the legislation through committee and to the full House later this week, and GOP leaders are aiming for House passage before Thanksgiving. 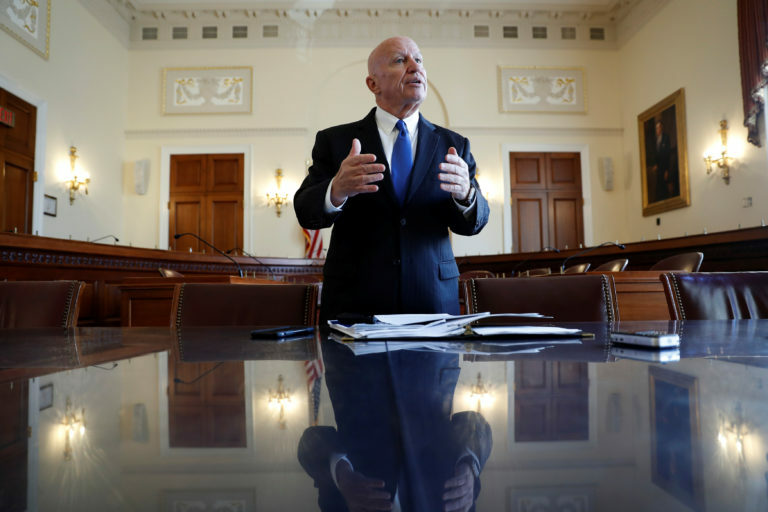 Left: Chairman of the House Ways and Means Committee Kevin Brady, R-Texas, and other House Republicans bickered with Democrats on Monday over whether the GOP tax bill truly helps the middle class . Photo by REUTERS/Joshua Roberts.